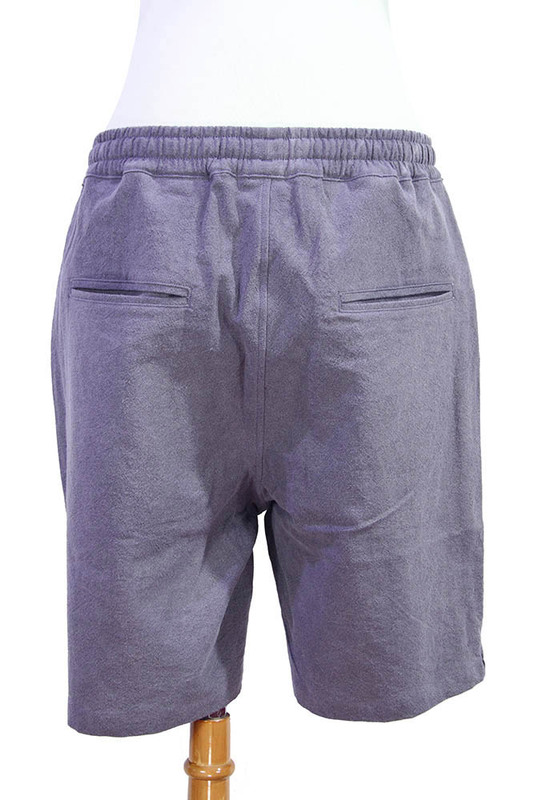 The Lost Explorer 'Kinkajous' drawstring shorts made in USA, plum colour (lilac grey), natural dyed, soft fabric. Elasticated waist with fabric drawstring. 2 large patch pockets with angled entry. 2 pockets at the rear. Taped seams inside. Gorgeous shorts that match the jacket, t-shirt and shirt in the same coloured fabric to make a great Summer outfit.